The war on drugs imprisoned a lot of people — particularly people of color — who never should have been in jail in the first place. Now that pot is legal in California, what should happen to those still in jail for a crime that no longer is a crime? 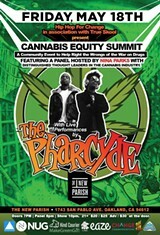 There’s a lot to unpack here, and Hip Hop for Change wants to do just that at this week’s Cannabis Equity Summit.Don’t worry, it’s not a hoity-toity event. 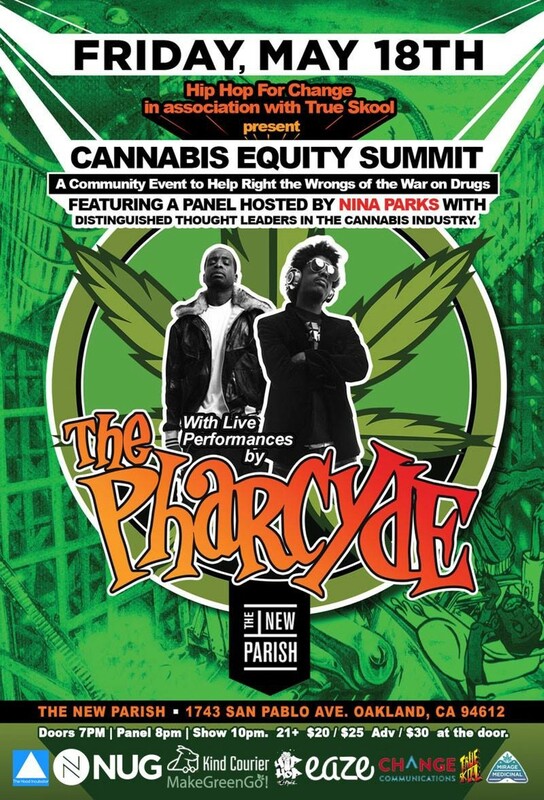 Several hip-hop artists will also perform, including RyanNicole, Shy’An G, Khafre Jay, and ’90s alt-rap legends the Pharcyde, whose first two records Bizarre Ride II the Pharcyde and Labcabincalifornia practically defined the cerebral underground-meets-mainstream hip-hop crossover in the early ’90s with its stream-of-consciousness lyrics, playful flow, and weed-soaked, laid-back, jazzy funky beats. These days, the Pharcyde performs as a two-piece with Imani and Bootie Brown.